With a name like Metro it has to be sophisticated and elegant. 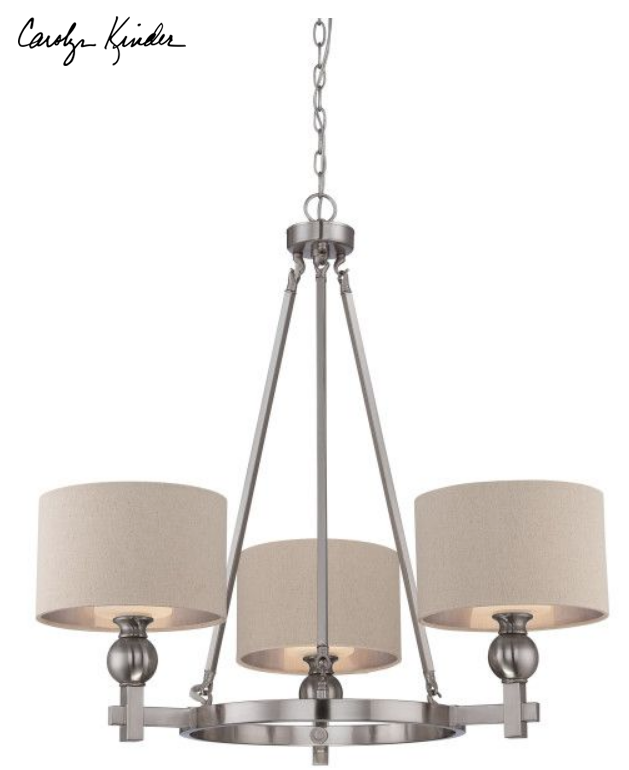 A brushed nickel finish and simple details enhance the beauty of this collection. The shades are fabric and feature a silver liner to enhance the amount of light emitted while the etched glass inner shade diffuses the light to avoid glare. Designed by Carolyn Kinder International. 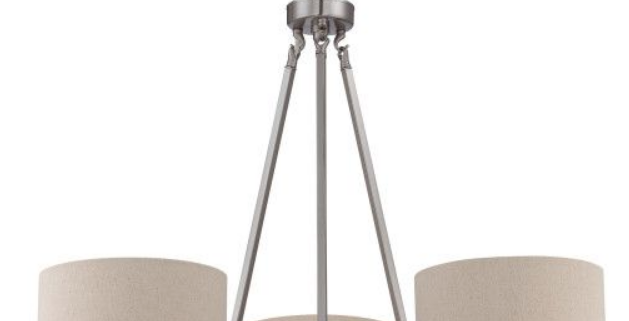 For retail purchase Google search term “Carolyn Kinder Metro Chandelier”.